The Heart Zones, Inc team loves the Garmin Forerunner 235. As one of many models featured in the Garmin Forerunner series, the 235 is a uniquely sleek design and comes with many bells and whistles that runners and all athletes enjoy. Forerunner 235 with Elevate™ heart rate technology² measures heart rate at the wrist 24/7, giving you the option to run without a strap. Its colorful gauge identifies your heart rate zone and beats per minute in real time. 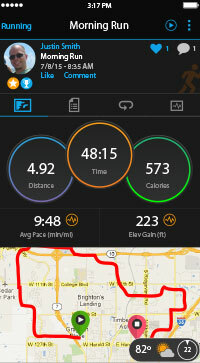 The GPS features for runners help you measure your pace and distance during your training and racing. The combination of a GPS running watch along with heart rate monitoring falls in line with Heart Zones’ love of letting data drive your fitness.